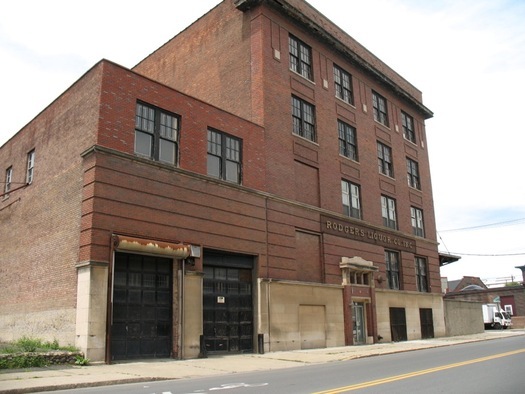 PLNY is teaming up with the Troy Architectural Project to produce reports for the building owners that will focus on potential reuses, building code evaluation, required approvals, available funding assistance, and a cost estimate. The findings from the studies will be presented to the public at a symposium in late November/early December at the NanoCollege. DiLorenzo said they suspect that many of the buildings will end up being good candidates for residential conversion, because of some larger trends and some of the qualities of the buildings themselves. 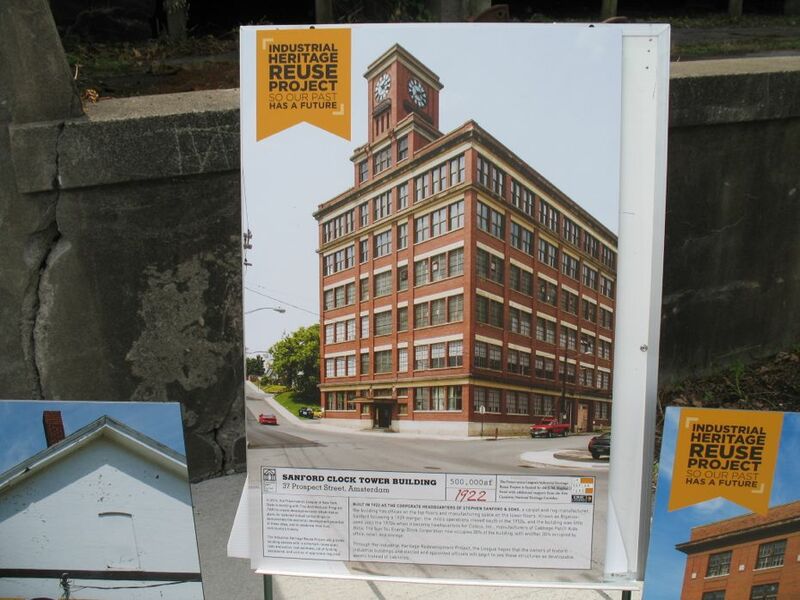 "We're seeing trends in the state, and nationally, that urban living, living not just in cities in unique cities, in rehabilitated and restored historic buildings is really the up and coming growth area," he said. 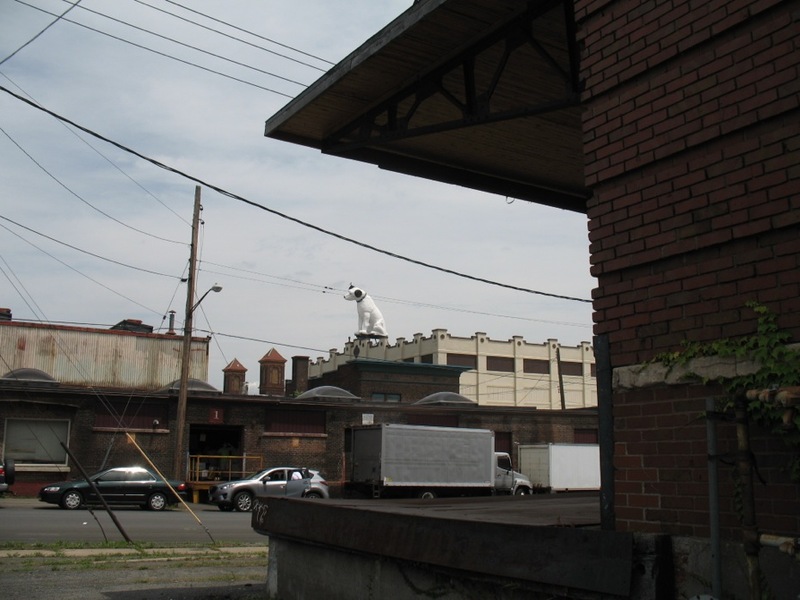 "These historic industrial buildings, because of their size and their scale, really offer that economy that makes rehabilitation more feasible, you can get more units and more small businesses into them." 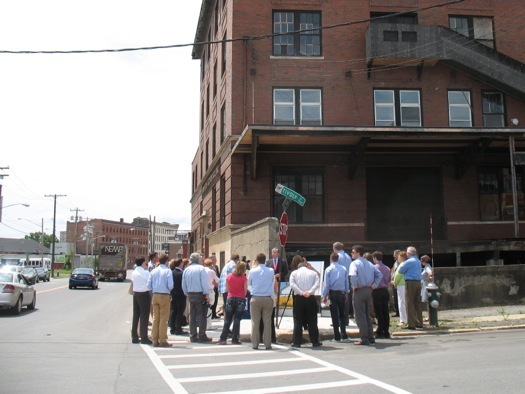 Here in the immediate Capital Region, DiLorenzo pointed to GlobalFoundaries and the NanoCollege complex and their potential to draw young professionals to the area, the sort of demographic he said is looking for these types of residential units. But the projects still have to make economic sense for the developers. And to that end, DiLorenzo and others cited federal and state rehabilitation tax credits that can defray a significant chunk of the costs of these projects. He pointed to the Harmony Mills loft conversion in Cohoes as an example of the ability of the credits to tilt the numbers in favor of a project. 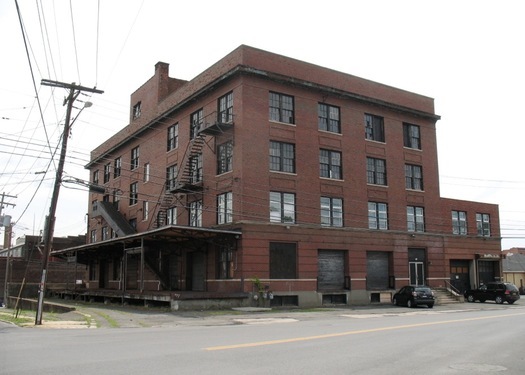 The building at 960 Broadway was built in 1910, originally as a distribution center for the International Harvester Company, and then later served as a liquor warehouse. It's now vacant. "We're thinking tentatively about a restaurant on the first floor, to go along with the theme that's working its way down the road," owner Bill Barber said today, motioning a block away to the strip that includes Wolff's, Stout, and Nine Pin Ciderworks. "And then apartments because I think people want something different than a cookie-cutter [apartment] that comes out everywhere else." Barber said he was drawn to building because he thinks the neighborhood is up and coming. Also: "I like the way it looks. Plus, it's wide open inside, from a development perspective it'd be an easy build out." He figures the total cost of redeveloping the roughly 50,000 square foot building will be $5-$6 million dollars. And the rehabilitation tax credits could be worth 40 percent of that. "It's an incentive to do these projects. And in some cases it's a necessity because it's not a new construction project where the costs are very well defined. Once you get into a rehabilitation project [the costs] could kind of spiral out a little bit, so financial help is needed sometimes." Barber hasn't lined up financing yet, but said he thinks that will fall into place once plans for the buildings are formalized. Another hurdle: Getting the necessary zoning changes. 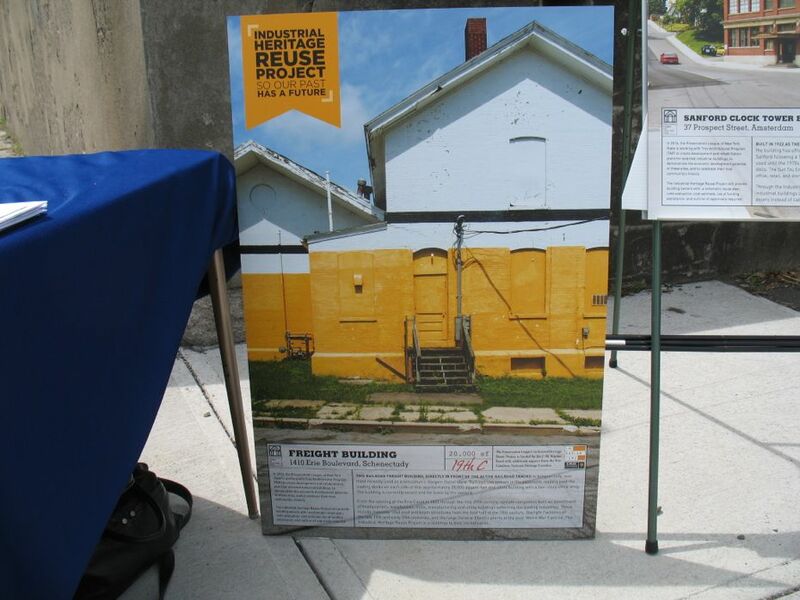 But he seemed optimistic the project will be workable, in part because of the support on display Wednesday from the Preservation League and a group of local officials. "The support makes you feel like it's possible." 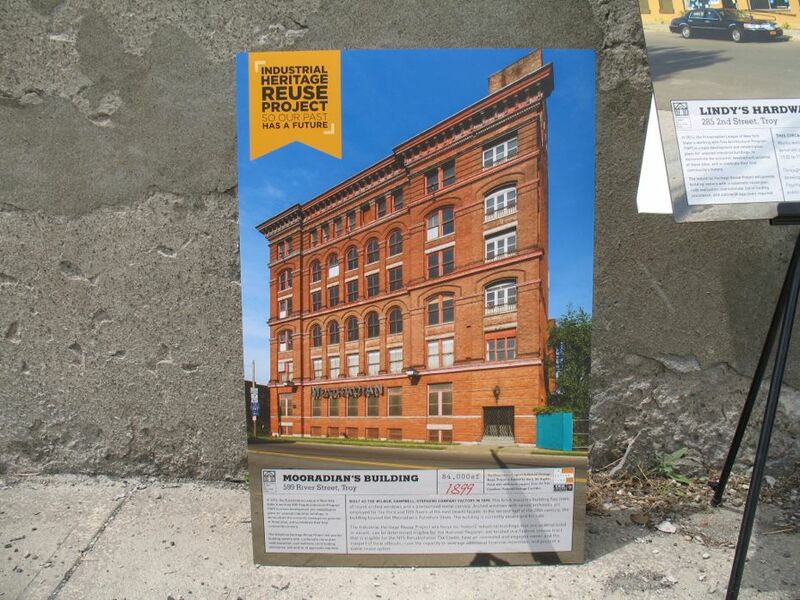 Back around 2008-2009 they were attempting to develop the Mooradian building into condos. I remember looking at them and while the sample condos were lovely the price tag, condo fees, taxes, and proposed parking situation were insane. I know there is someone out there willing to pay $200k for 1,000 sq ft condo with nearly $12,000/yr in taxes and condo fees and assigned parking being located across River Street (so that the parking near the building could be used for the proposed restaurant), but that someone is NOT me. 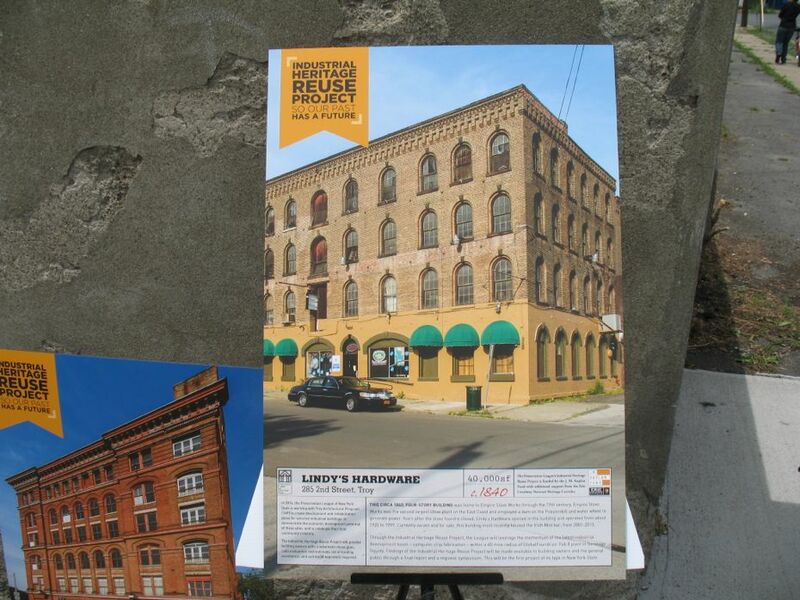 I am all for adaptive reuse of these old buildings but some how we have to think outside of the box. There is NO WAY we can rebuild them all into "condos and restaurants". We somehow need to make these buildings once again capable of CREATING wealth. We cannot sustain a society on the backs of people working as hair dressers and coffee barristers it just doesn't work that way. We cannot sustain a society on the backs of doctors and real estate agents. WE as a country NEED and MUST go back to old school economics and return to actually creating material wealth and that means FACTORIES and NEW industries and HARD work and cooperation between labor, management, and the government otherwise we will continue to slide our way into third world status. This is what made the middle class in America and this is what makes the middle class around the world regardless of what anyone says. It was a liquor warehouse once - isn't there a company that needs a warehouse now? I agree- we don't need a boutique restaurant district, Pearl St is already turned into that. 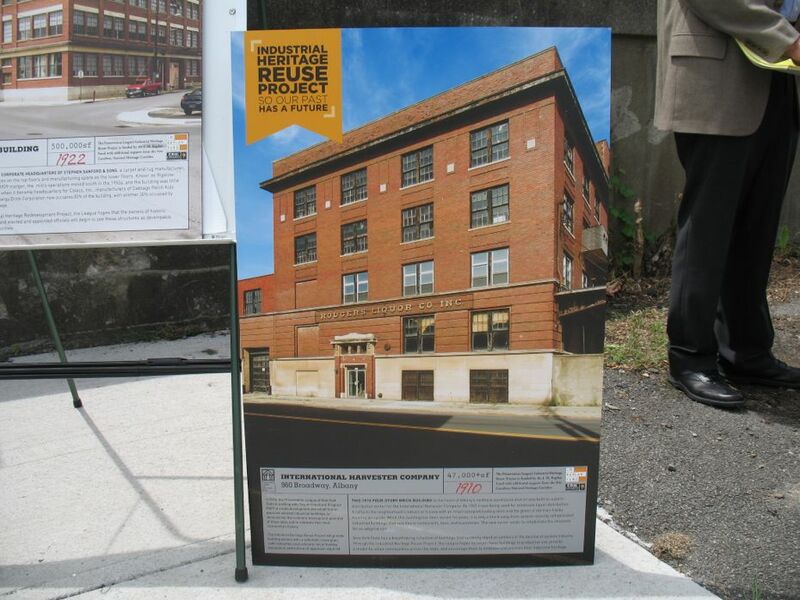 Kudos to the preservation league for kickstarting this process. I've always looked at the Rogers building and thought "what if?" Adaptive reuse makes for attractive living space. I don't think buildings like this one are all that useful any longer for warehouse space - look at how different the modern warehouses are today than those built 100 years ago. I hope for this building's sake it's done right. The former Freihoffer building on Washington and Quail is really suffering. This is great work. While I agree that some of the concerns above should be addressed, this type of revival in old warehouse districts can turn them into attractive walkable neighborhoods. It has been done elsewhere. I commend the developers for their forward thinking. The Mooradian building is begging to become condos. It is BEAUTIFUL. Like CAOD, I visited when they had an open house for the proposed condos in 2008. It was just what I was looking for, but at 2x+ the price. I don't remember any of the spaces even being as low as 200k like CAOD mentioned - I just remember that they had a few half-million-dollar units. I think the market for condo living in Albany and Troy is there, but planning luxury condos in a distressed neighborhood is a joke. Make them affordable for first-time buyers / young professionals and the project won't fall through. Oh boy! More "Luxury New York City loft style apartment with granite counter tops and stainless steel appliances." Cyril, if there's a market for them, why not? Perhaps these developments should include a mix or market and affordable housing. Not sure. I don't see anything wrong with people buying expensive lofts if they can afford them. Those are also the people who dine out, hire all sorts of contractors, etc. What do people want, Section 8 housing? I don't get it. I think that these are small but significant steps towards the economic recovery of cities starving for revenue, but I could be proven wrong. Any better ideas? Considering the current state of these buildings, I can't complain what happens to them, as long as investment is occuring and helps bring folks, vibracy and life to the neighborhoods they reside it. With that said, while market forces may dictate "luxury amenities" I know many of my peers who had wanted the condo life, but settled for a house due to the high prices, had no need for the "luxuries" if it would have brought the price point down to a more realistic number for the middle class. I think having a mix of options (luxury, middle of the road, economy) would be the ideal way to go, but then again, a developer often has their mind on the $$ rather than the broader societal needs. No argument from me there, Paul. I completely understand your point, but unfortunately it's still at the developer's discretion. I also understand that those flip jobs cost a ton of money, sometimes more than building new. It's a conundrum. I suppose that developers want an ROI, thus those over the top prices. There must be a better way, but I think. that we haven't yet figured it out. I love this city, so anything at all is better than the status quo. At least, that's how I view it.